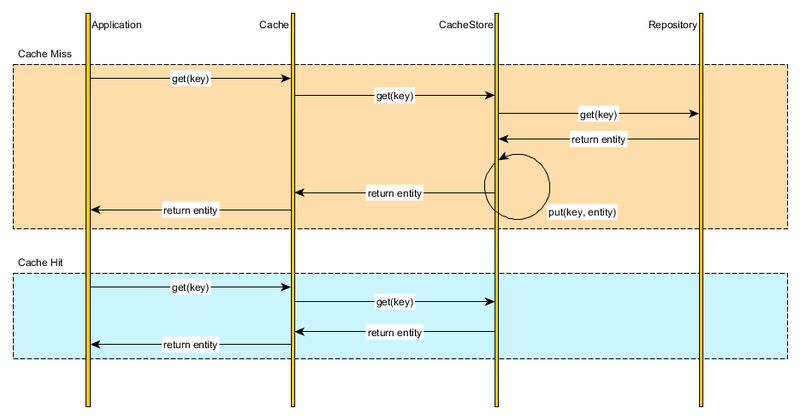 Instead of managing both the database and the cache, we can simply delegate the database synchronization to the cache provider. 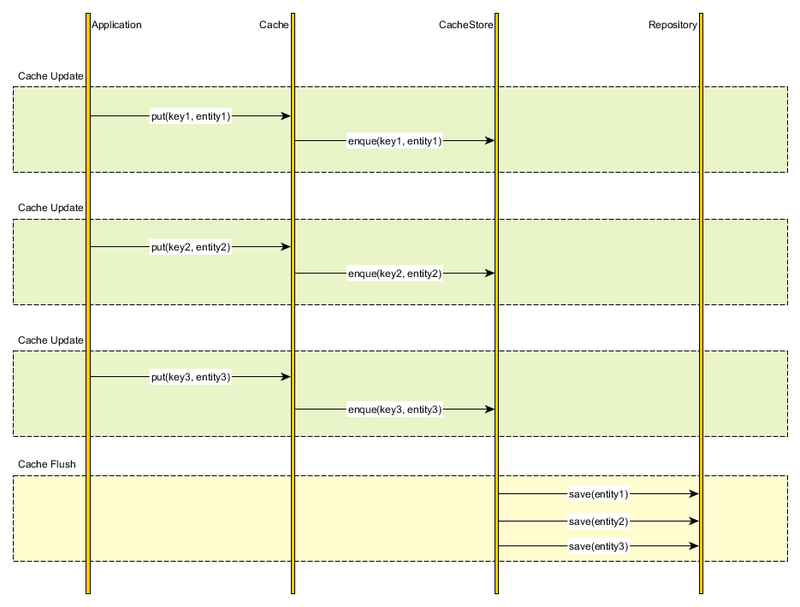 All data interactions is therefore done through the cache abstraction layer. If strong consistency is not mandated, we can simply enqueue the cache changes and periodically flush them to the database. 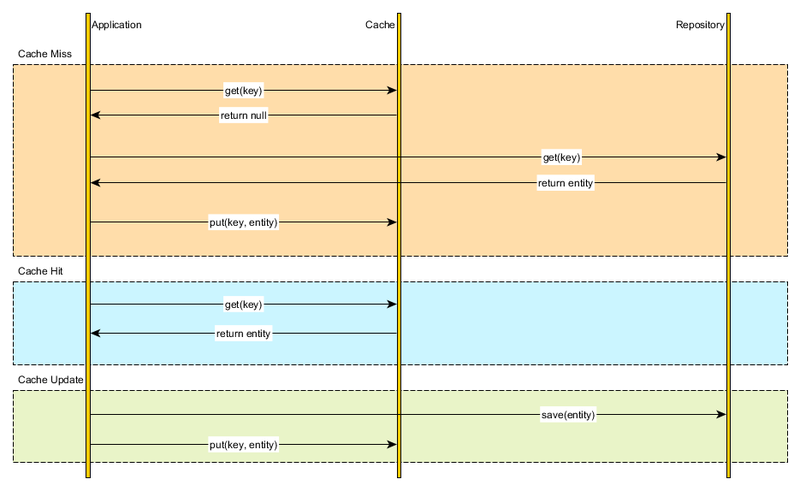 Although it breaks transaction guarantees, the write-behind caching strategy can outperform the write-through policy, because database updates can be batched and the number of DML transactions is also reduced.